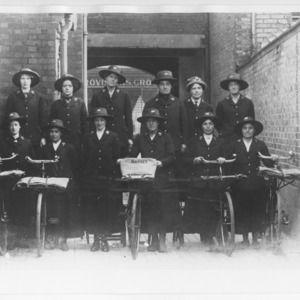 A group of postwomen at Barnet. 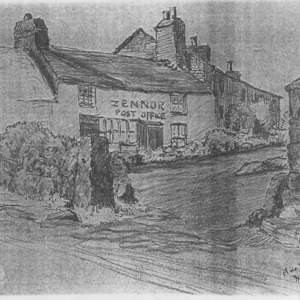 with their bicycles. 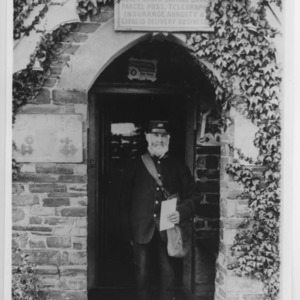 Post Office in private house, at Heamoor, Penzance, White Telephone Box. coin operated stamp machine inserted in window panes. 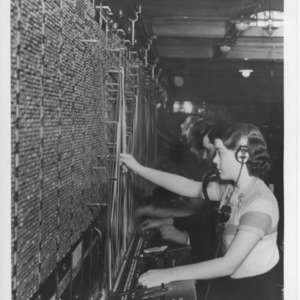 Ladies of the Post Office seen here operating at an early telephone exchange when all calls were connected by hand at every intermediate exchange. 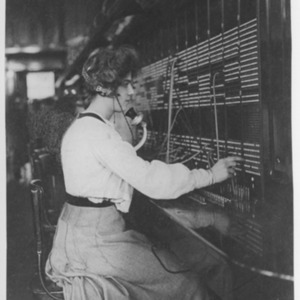 Telephone Operators at Manual Switchboard. 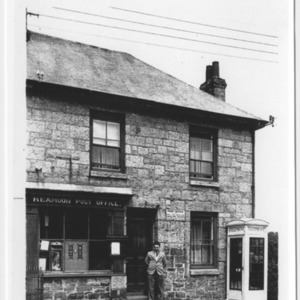 Date may be later than 1920 - may be late '20s. 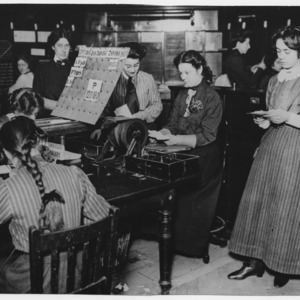 Ladies of the Post Office seen here sorting telegrams which had been handed in at various counters, and sending them to the appropriate transmission points.